Home » Food and Nutrition » Vitamins » Is This the “Miracle” Mineral? Is This the “Miracle” Mineral? Magnesium is an abundant mineral and is responsible for hundreds of biochemical reactions. This mineral is stored in bone as part of its mineralized component and also within our cells. Magnesium is an extremely important mineral because its ions are responsible for smooth muscle contractions, bone formation, blood clotting, immune cell activity, insulin sensitivity, blood sugar transport, and the control of free radical activity. Magnesium intake is controlled by the amount and types of food we consume. Foods that contain higher amounts of magnesium include whole grains, nuts, green leafy vegetables, legumes, and bran. Magnesium is absorbed in the small intestine and any excess amounts are excreted by the kidneys and bowel. Generally, the amount of magnesium that the average person requires will depend upon many factors. For example, if you are older and consume a lot of refined white flour products and you have high blood pressure, you need more magnesium than a younger, healthier person. The majority of Americans do not meet the recommended daily allowance (RDA) of 420 milligrams (mg) per day for males and 340 milligrams (mg) for females. Individuals who are diabetic, alcoholic, or obese; have chronic gastrointestinal issues or heart failure; and the elderly are more likely to be low in magnesium. Although blood levels of magnesium may be stable, low intakes can deplete tissue levels to the point that it impairs the immune system, cardiac muscle, blood clotting, and blood sugar regulation. Like most minerals, magnesium is not very well absorbed from our intestinal tract with up to 50% being actually absorbable from the foods we consume. So if you do not eat the right amount of the right foods, the magnesium you require for proper cellular function will not be available. This can lead to serious health issues. The role of magnesium in disease prevention and management has been extensively studied. Magnesium is a very important compound because it can enter a smooth muscle cell of the artery wall or your heart muscle and, with calcium, cause relaxation of the smooth muscle cells. Magnesium can also regulate the activity of other minerals within various cells resulting in improved blood flow and less arterial wall thickening. The use of magnesium is also directly linked to improved blood sugar regulation and that’s why doctors may prescribe magnesium supplementation for diabetics. Magnesium is important for insulin binding and blood glucose transport into various cells. Adequate magnesium is essential to establish optimum insulin sensitivity and blood glucose utilization. Magnesium is also very necessary in maintaining the proper cardiac rhythm and heart muscle contractility. The heart requires magnesium to beat regularly and with enough force to move large amounts of blood around the body. Magnesium is also very important in the development and management of cardiovascular disease, the effects of which are associated with lower levels of inflammation, blood pressure within the artery and decreased mortality from heart attack. I recommend taking a supplement containing 300-400 mg of elemental magnesium daily to get the appropriate amounts of magnesium in your diet. I prefer magnesium in supplement form bound to citrate or aspartate. 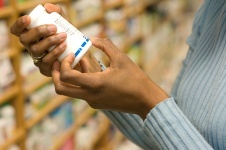 “Magnesium,” Office of Dietary Supplements web site; http://ods.od.nih.gov/factsheets/Magnesium-HealthProfessional/, last accessed June 3, 2013. Mortazavi, M., et al., “Effect of Magnesium Supplementation on Carotid Intima-Media Thickness and Flow-Mediated Dilatation among Hemodialysis Patients: A Double-Blind, Randomized, Placebo-Controlled Trial,” Eur Neurol 2013; 69(5): 309-16. Chiuve, S.E., et al., “Dietary and plasma magnesium and risk of coronary heart disease among women,” J Am Heart Assoc. March 18, 2013; 2(2): e000114.